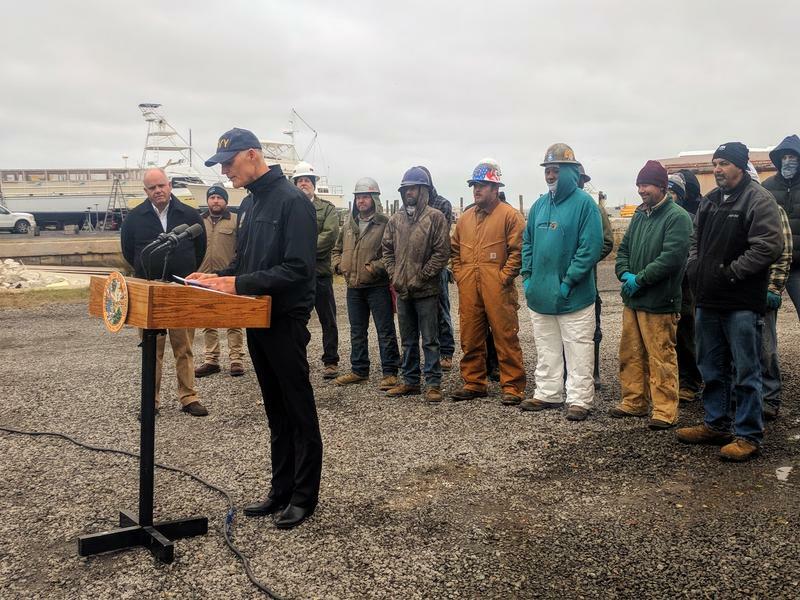 But the state’s taxpayers will have to pay millions more for the program starting in 2020. 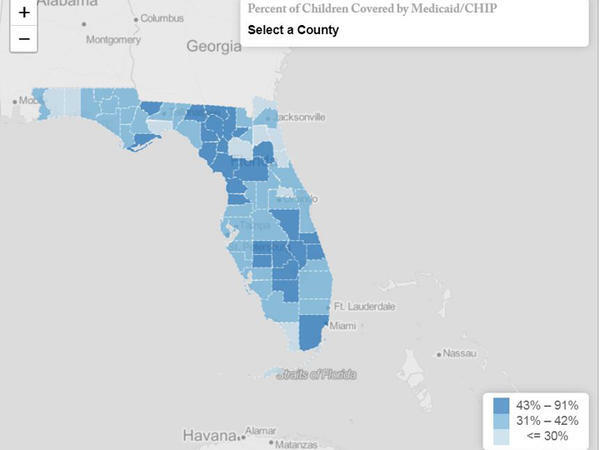 The program, known as CHIP, provides health insurance to 345,000 children in Florida. It’s helped the state reduce its uninsured among children to 6.2 percent in 2016, compared to nearly 15 percent in 2009. 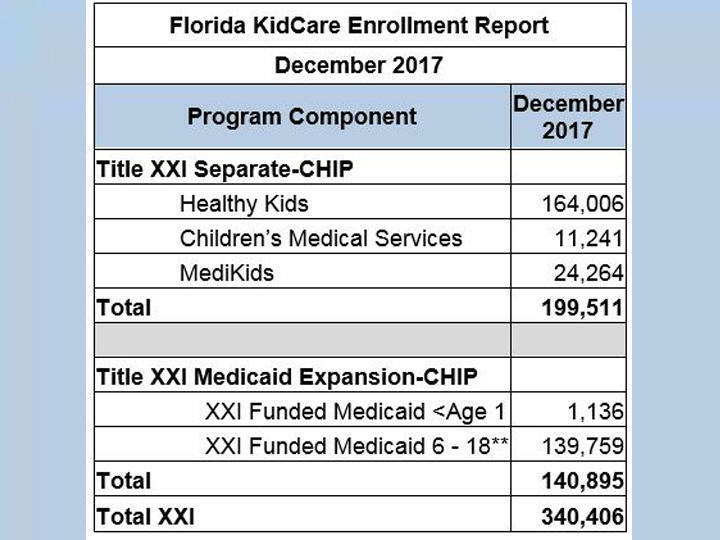 The Affordable Care Act provided a temporary 23 percent bump in CHIP funding starting in 2016, bringing the federal match for Florida to about 95 percent. But that match will drop to 84 percent in 2020 and return to about 72 percent in 2021. When that happens, the state will have to cover the portion of the match that the federal government is no longer funding. In Florida it’s estimated to be about $75 million in 2020 and $150 million in the years following, said Joan Alker, director of Georgetown University’s Center for Children and Families and the author of a report on how the new law will impact Florida. The law says that the state cannot reduce income eligibility levels for children in Medicaid and CHIP for the next 10 years, nor can it raise their premiums. The state has known this was coming, and the law does provide more money than expected because the federal match was supposed to decrease to 72 percent in 2020. The decreased funding comes at a critical time for children’s health insurance in Florida, Alker said. Information from the National Health Interview Survey shows that Florida’s progress at reducing its uninsured rate among children may be stalling. Efforts to repeal the Affordable Care Act and cut Medicaid, along with the prolonged funding fight over CHIP may have had an impact on families, Alker said. “We were worried that families might think they don’t have options available to them,” she said. Another impact could be the Trump administration’s crack down on illegal immigrants, Alker said. Immigrant families may be more reluctant to sign their eligible children up for Medicaid and CHIP coverage, she said. “Because of all the intimidation that’s happening right now of immigrant families we’ve heard lots of anecdotal evidence that they are very reluctant right now to sign their kids up for coverage,” Alker said. Congress again failed to approve long-term funds for a popular program that provides health insurance for nearly 9 million low-income children, leaving each party blaming the other for Christmas-season gridlock and states scrambling to decide how to parcel out dwindling money. The Trump administration is unveiling a multibillion-dollar roster of proposed spending cuts but is leaving this year's $1.3 trillion catchall spending bill alone.